marinades and more. 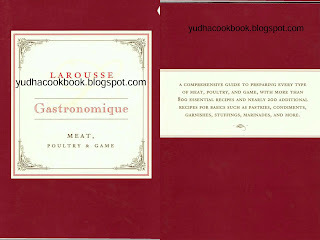 Classic meat, poultry, and game recipes, from Boeuf Bourguignon and Osso Bucco a la Milanaise to Glazed Spare Ribs and Chicken Jambalaya. Since its original publication in 1938, the Larousse collection has withstood the test of time and trend to remain the world's most authoritative culinary reference book.